October 14, 2018 3:33 am. Everest race day at Randwick has been hailed a success, thanks mainly to a bumper crowd of 40,578. Racing officials have revelled in a bumper crowd for The Everest, brushing off the negative publicity leading into Australia’s richest horse race. 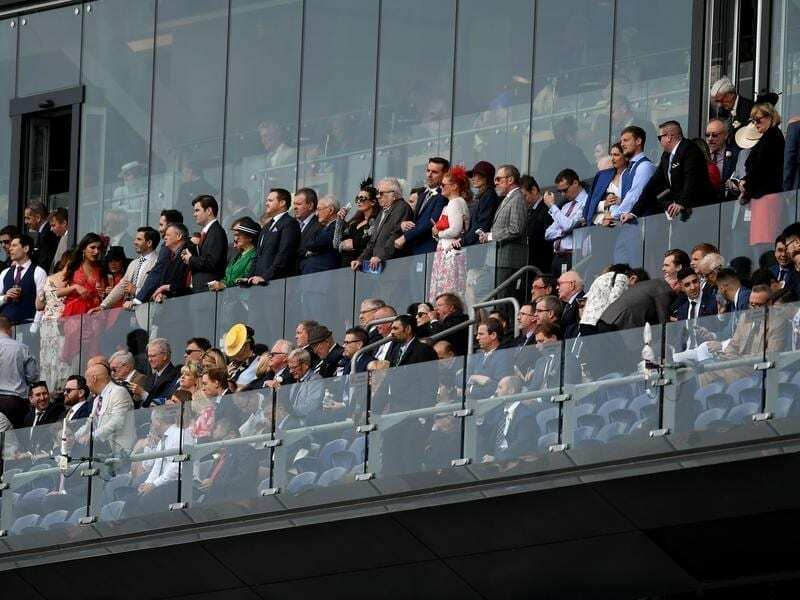 After more than 300,000 people signed a petition during the week opposing The Everest’s Opera House barrier draw lightshow, a crowd of 40,578 squeezed into Randwick racecourse on Saturday for the $13 million race. Australian Turf Club chief executive Jamie Barkley said racegoers were not deterred by the backlash against the barrier draw being beamed onto the Opera House sails. The biggest crowd at Randwick since its redevelopment in 2013 saw Redzel win his second Everest in a row to claim the $6m first prize, beating Trapeze Artist and Osborne Bulls. It well outstripped last year’s crowd of 33,000. “It’s great for Sydney racing to make a stand like this and be such a significant event in this city,” Mr Barkley said.